Presenting this set of slides with name - People In Icons Shown By Team Structure Briefcase And Handshake. This is a six stage process. The stages in this process are People In Icons, Crowd Icons, Together Icons. Presenting this set of slides with name - People In Icons With Ties Black And White Image. This is a six stage process. The stages in this process are People In Icons, Crowd Icons, Together Icons. Presenting group of people vector icon. This is a group of people vector icon. This is a five stage process. The stages in this process are group of people, togetherness, crowd. We are proud to present our business people skilled professional ppt icons graphics. Concept of finding skilled peoples has been displayed in this PPT with suitable icons. This icon template contains the graphic of business people icons. Use this icon template for business presentations. We are proud to present our 1813 3d people turning gear ppt graphics icons powerpoint. Use our 1813 3D People Turning Gear Ppt Graphics Icons Powerpoint to bullet point your ideas. See them fall into place one by one. Presenting risk icon people management ppt design. This is a risk icon people management ppt design. This is a three stage process. The stages in this process are hazard symbol, risk icon, risk management icon. Presenting this set of slides with name - Group Of People Icons With Leader In Front. This is a three stage process. The stages in this process are Group Of People, Crowd, Work Together. …organizational chart teamwork meeting ppt icons graphics. This Power Point icon template diagram has been crafted with graphic of team and organizational chart icons. This icon PPT diagram contains the concept of teamwork and team management Use this icon PPT for HR and people related presentations. Presenting group team eight people black icon. This is a group team eight people black icon. This is a eight stage process. The stages in this process are group team, together, teamwork. Presenting people gathering and joining hands ethnicity icon. This is a people gathering and joining hands ethnicity icon. This is a three stage process. The stages in this process are ethnicity, ethnic group, ancestry. …proud to present our team discussion business peoples ppt icons graphics. Concept of team discussion has been defined in this icon template diagram. This icon template contains the graphic of four icons with business peoples. Use this icon template for business and management related presentations. Presenting this set of slides with name - Multiple People Icon With Blue Background. This is a three stage process. The stages in this process are Group Of People, Crowd, Work Together. Presenting this set of slides with name - Colored People Group Icon With Black Background. This is a three stage process. The stages in this process are Group Of People, Crowd, Work Together. Presenting group of people standing icon. This is a group of people standing icon. This is a three stage process. The stages in this process are group of people, togetherness, crowd. Presenting community management people icons with work flow and lines. This is a community management people icons with work flow and lines. This is a two stage process. The stages in this process are community management, common pool resource management, common resource management. Presenting this set of slides with name - People In Icons Hacker Swat Business Man Images. This is a nine stage process. The stages in this process are People In Icons, Crowd Icons, Together Icons. Presenting people strategy icon. This is a people strategy icon. This is a three stage process. The stages in this process are people strategy, person development, human capital. Presenting this set of slides with name - People In Icons Mechanic Meeting Desk Image. This is a six stage process. The stages in this process are People In Icons, Crowd Icons, Together Icons. Presenting 3d peoples with compare infographics powerpoint slides. 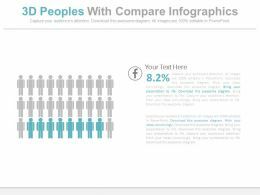 This Power Point icon template slide has been crafted with graphic of 3d peoples info graphics. This icon PPT slide contains the concept of comparison. Use this icon PPT slide for business and marketing related presentations. 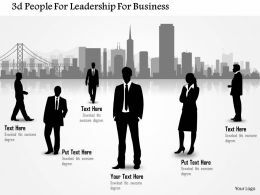 "Microsoft PowerPoint Template and Background with the businessman reflects business concept"
Presenting six people with globe icon in center. This is a six people with globe icon in center. This is a six stage process. The stages in this process are global connections, global networks, worldwide connections. We are proud to present our 2513 3d people on success path ppt graphics icons powerpoint. You Have All The Ingredients To Create The Taste Of Success. Garnish Your Recipe With Our 2513 3d People On Success Path Ppt Graphics Icons Powerpoint And Enhance Its Flavor. …information on PPT sample. Increase the level of personalization with your company logo and name. Compatible with all software and can be saved in any format (JPEG/JPG/PDF). Useful tool for students, business analysts, sales people, sales managers and professionals of any and every industry. Presenting ethnicity group of different people icon. This is a ethnicity group of different people icon. This is a three stage process. The stages in this process are ethnicity, ethnic group, ancestry. Presenting people celebration icons. This is a people celebration icons. This is a four stage process. The stages in this process are celebration icon, party icon, event icon. Presenting ethnicity group of different people icons. This is a ethnicity group of different people icons. This is a three stage process. The stages in this process are ethnicity, ethnic group, ancestry. Presenting this set of slides with name - People In Hierarchy Icon. This is a three stage process. The stages in this process are Persons Icon, Human Icon, Team Symbol. Presenting this set of slides with name - People In Room Icon. This is a three stage process. The stages in this process are Persons Icon, Human Icon, Team Symbol. Presenting this set of slides with name - People In Square Icon. This is a three stage process. The stages in this process are Persons Icon, Human Icon, Team Symbol. Presenting ethnicity group of different people icon with background. This is a ethnicity group of different people icon with background. This is a two stage process. The stages in this process are ethnicity, ethnic group, ancestry. Presenting five steps business planning with people icons presentation diagram. This is a five steps business planning with people icons presentation diagram. This is a five stage process. The stages in this process are business, marketing, icons, management. Presenting ethnicity group of different people icons with background. This is a ethnicity group of different people icons with background. This is a three stage process. The stages in this process are ethnicity, ethnic group, ancestry. Presenting this set of slides with name - Enterprise Network Shown With Graph Gear And People Icons. This is a six stage process. The stages in this process are Enterprise Networking, Company Networking, Organization Network. Presenting this set of slides with name - Male User Suite People In Icon. This is a three stage process. The stages in this process are Persons Icon, Human Icon, Team Symbol. Presenting this set of slides with name - Man In Gear People In Icon. This is a two stage process. The stages in this process are Persons Icon, Human Icon, Team Symbol. Presenting this set of slides with name - Man With Board People In Icon. This is a three stage process. The stages in this process are Persons Icon, Human Icon, Team Symbol. Presenting people joining hands ethnicity icon. This is a people joining hands ethnicity icon. This is a four stage process. The stages in this process are ethnicity, ethnic group, ancestry. Presenting sales meeting icon with people and chat icon in center. This is a sales meeting icon with people and chat icon in center. This is a five stage process. The stages in this process are sales meeting, sales conference. "Microsoft PowerPoint Template and Background with of two simple people icons with a simple house sitting in front of them"
…in the slides. Flexible to be used with the Google Slides. Easy to edit the information, resize the images or set the orientation of the slide icons. Replace the watermark with your company’s logo or brand name. Access to open on a big screen. Beneficial for the Business presenters and managers.